“We are not going to play, no matter the threat,’’ says Siraji Rollings Kamara, who is the spokesman for the aggrieved party of football stakeholders, and also chairman of premier League club – Central Parade. Kamara said that they will meet Thursday, 12 september, to discuss their next line of action. 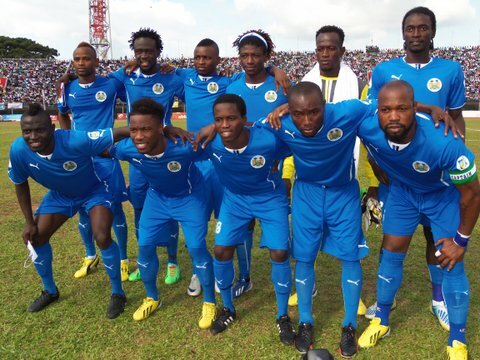 During the Press conference, the deputy Secretary General of the Sierra Leone Football Association, Abdul-Rahman Swarray threatened to sanction Premier League Clubs, if they fail to participate in the premier league matches slated for Saturday, September 14th 2013. He made the statement whilst responding to questions from the press at a briefing held at the FA’s Academy, Wednesday, 11th September, 2013, following the announcement of the continuation of the League. He confirmed that if any of the Premier League clubs that are expected to take part in the competition boycotted the League, the executive of the FA will call for the intervention of FIFA, which according to him could lead to sanctions, including the banning of clubs from participating at the country’s football competitions. He emphasized that FIFA’s decision would remain the only solution for clubs and individuals who want to bring the country’s football into disrepute. He however announced that the technical team of the FA is working assiduously on the remaining fixtures, that will usher in teams for the continuation of the League on 14th September. 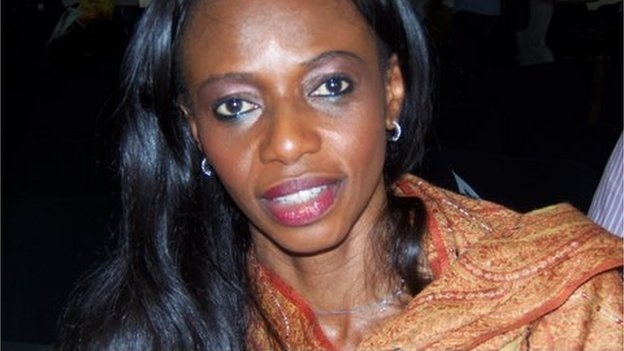 (Photo: Isha Johansen – the newly elected president of the SLFA). He also stated that for the continuation of the League, African Minerals has donated 100 million Leones, and each participating team will receive an additional Le5m as seed money. In another related development, the Sierra Leone Football Association executive has made some new appointments. According to John Conteh – the SLFA’s PRO, the new technical director is Jebbo Sherrington who will take over from Obi Metzger. Deputy Technical Director in charge of youth football is now John Keister. John Conteh has been appointed as the Public Relations and Marketing Officer. Mohamed Barrie has been appointed to the position of Education Officer and Protocol, whilst the position of Administrative Secretary is now occupied by Elma Kamara, to be assisted by Sorie Ibrahim Sesay, who will also be in charge of competitions – both local and international. Former FIFA referee – J.S Bull, has been appointed as referee specialist. The list of new appointments was released by the acting scribe of the association – Abdul Raham Swarray. The football association’s acting scribe also revealed that the 16 workers who were sent home a few weeks ago, will resume work on Monday September 16th, as they were not sacked, contrary to the information going around that the executive had sacked them from the SLFA. He advised journalists to cross check their information before publishing. Has president Koroma’s agenda failed?